Disclosure: I received food, goodies, and a fun time in exchange for this post. 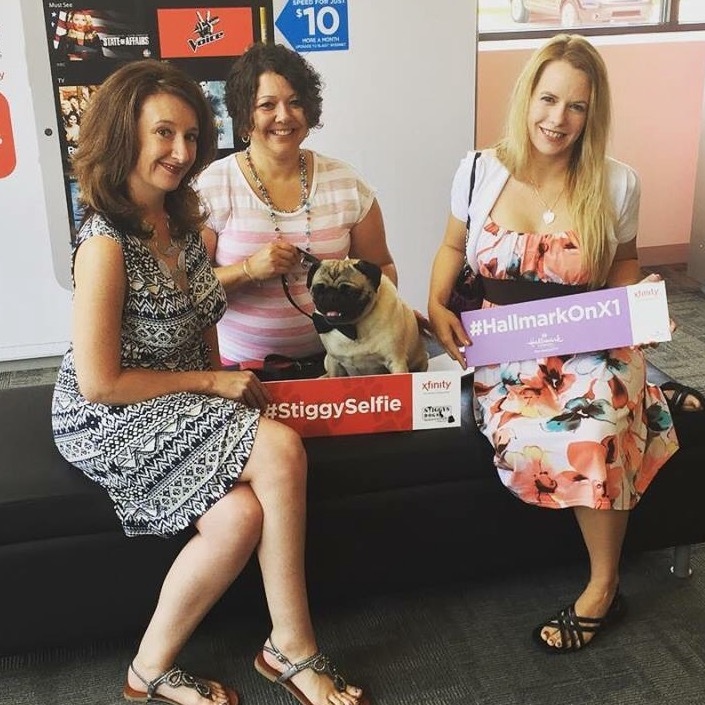 Yesterday I had the privilege of going to a blogger event that sponsored a non-profit organization called Stiggy’s Dogs. Stiggy’s Dogs is an organization that rescues and trains shelter dogs to be psychiatric service dogs for military veterans living with Post Traumatic Stress Disorder (“PTSD”) or Traumatic Brain Injury (“TBI”). The service dogs are trained and deployed at no cost to the veteran and each dog is trained to help the specific needs of the veteran. Stiggy’s Dogs was named after Benjamin Phillip (“Doc Stiggy”) Castiglione. Doc Stiggy was known for safeguarding and improving the physical and emotional health of those serving in his unit. 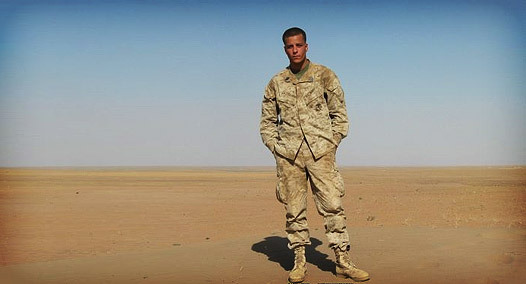 He died in Afghanistan on September 3rd, 2009. In 2010, Stiggy’s Dogs was developed by Jennifer Petre, Benjamin’s aunt, to carry out Doc Stiggy’s legacy of helping others. Her motto is “Rescuing one to rescue another”. 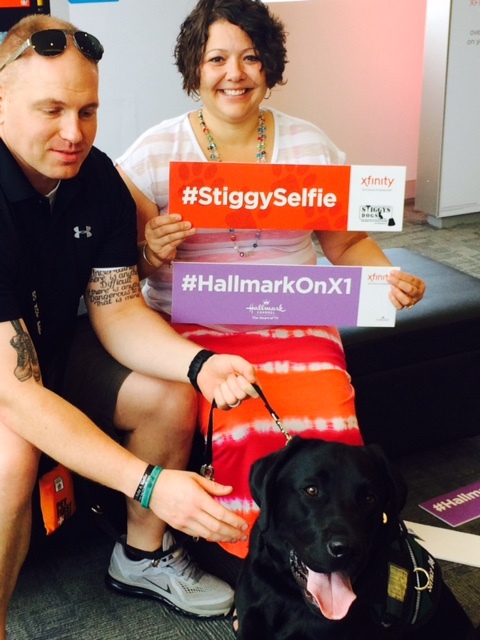 The goal of yesterday’s Comcast and Hallmark sponsored event was to raise awareness for Stiggy’s Dogs. Our job as bloggers was to promote Stiggy’s Dogs by tweeting and posting on Facebook and Instagram. As a non-profit organization, Stiggy’s Dogs relies on donations from individual people and organizations. 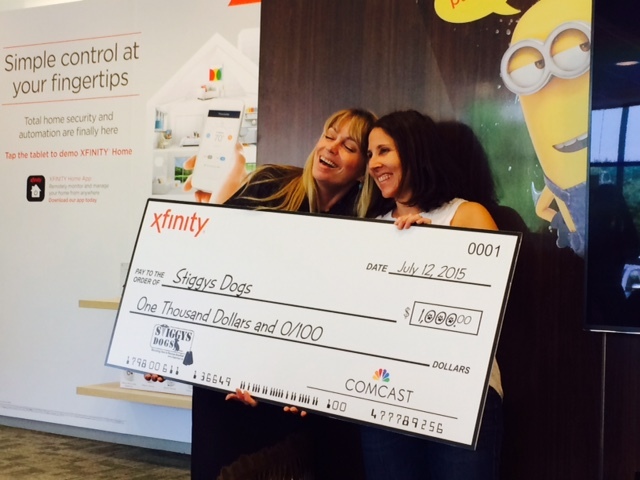 Comcast presented Stiggy’s Dogs with a $1000 check yesterday and hopefully as a result of our event, more awareness will be brought to the cause. Three of Stiggy’s Dogs with their Vets. I saw the pics on Facebook yesterday 🙂 but didn’t know about the Stiggy’s dogs backstory. Great cause! It was a good time, for a great cause. Thanks again for attending. Thank you for the invite and all you did. This was a great evening for sure and for a nice cause too! Looks like you all had fun and helped 🙂 Stiggy’s Dogs has a great motto. What a great organization and event!! Love when dogs can be rescued from shelters and given such a great purpose! What a great cause. 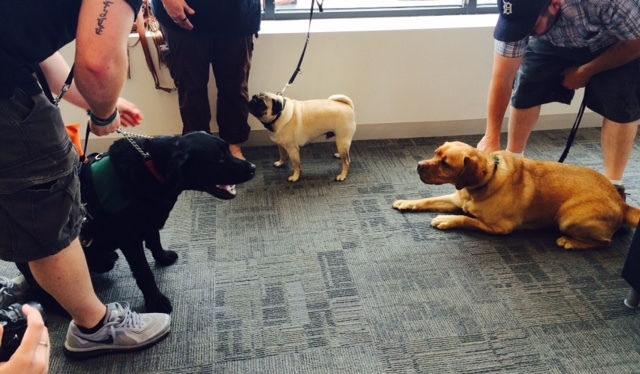 Loved the dogs! Saw some of your photos on Facebook. Great great cause indeed!